Have you ever been writing a story when suddenly your ideas seem to vanish into thin air? 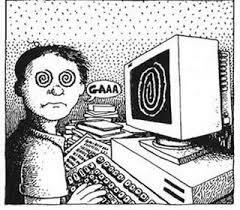 Only a short while ago the words were flowing, but now your creative brain seems blanker then a blank page. It’s like it’s gone on strike. This has happened to me many times, but I’m going to let you into a little secret. There’s something that helps me get through it. The power of a shower. Whenever I’m struggling, regardless of the time of day, I jump in the shower. With water cascading down, all other noises are blocked out. It is my own personal space where I can relax and daydream. The hot, running water unleashes ideas, and my brain unfreezes. I thought I was alone in doing this but apparently it is a well known way of defeating writer’s block. You can even buy special waterproof notebooks!! 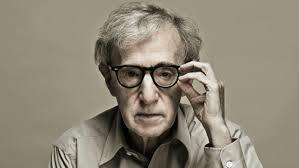 Woody Allen, a famous actor, film maker and playwright uses this method. I don’t stay in that long. In thirty-five minutes I would be a wrinkled prune, plus I think my hot water would run out by then. Some authors choose to have ice cold showers. This makes them more alert, which I fully understand. It also improves their mood. What? How? An ice cold shower certainly wouldn’t improve mine! 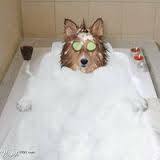 Other authors have nice long bubble baths. Now this – I can see the attraction of. But for me it would take far too long to run the bath, and I prefer something more immediate. Bubble bathMy family must be aware of when my writing is going well. I’m probably dirty. On not so good days, I’m very clean! Do you have any methods to deal with struggling writing? If so, please let me know. You might be helping with my water bill. 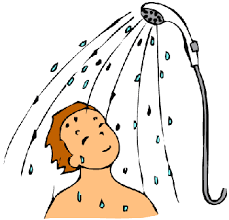 Ha ha ha….I love to sing my favorite songs on shower time. Nothing beats singing in the shower!